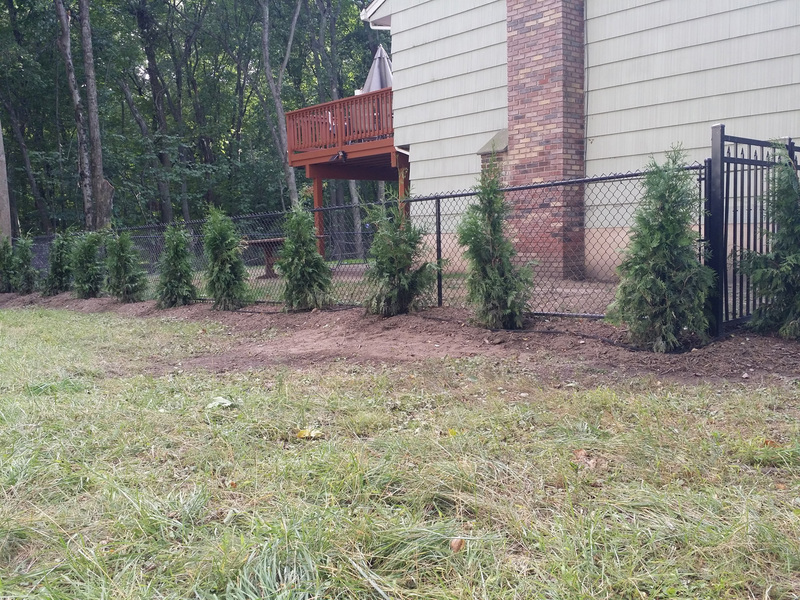 If you were to ask me what kind of jobs I like to do, I would not hesitate to tell you that I love to design and install all kinds of interesting and functional plantings. However that is not always the case. There ae frequent times that I connect with a client and they have the same vision on how they want their patio to Look. This couple in Haworth were and are one of the finest of clients to work with. 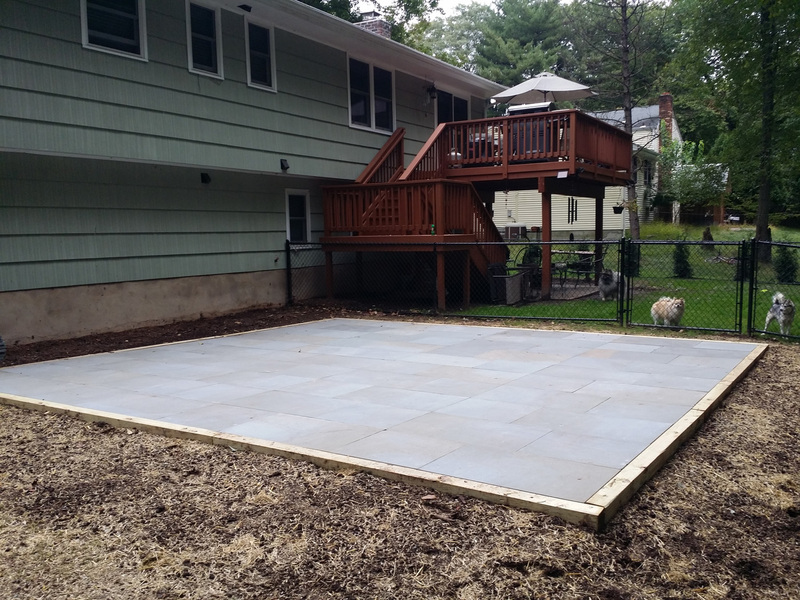 We discussed all the available options and finally agreed on utilizing bluestone pavers to create an outdoor living area. This thermaled bluestone is cut like a loaf of bread, with each piece being of the same density and thickness. The sawing process requires a 2nd step of thermaling wherein a flame is applied to the surface, ensuring the stones have a non-slip and consistent surface. 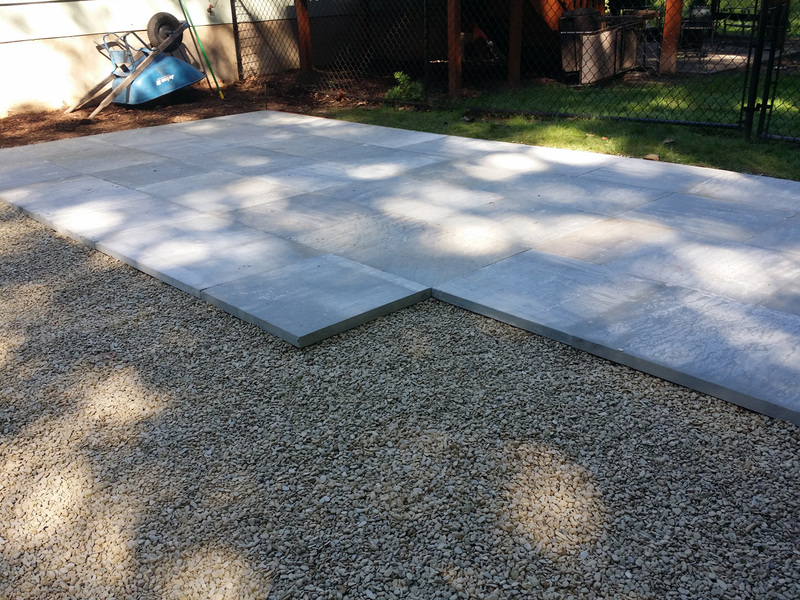 Also these pavers have a uniform surface and are great for outdoor patio living areas because the surface provides for stability and solid traction when the stone gets wet. 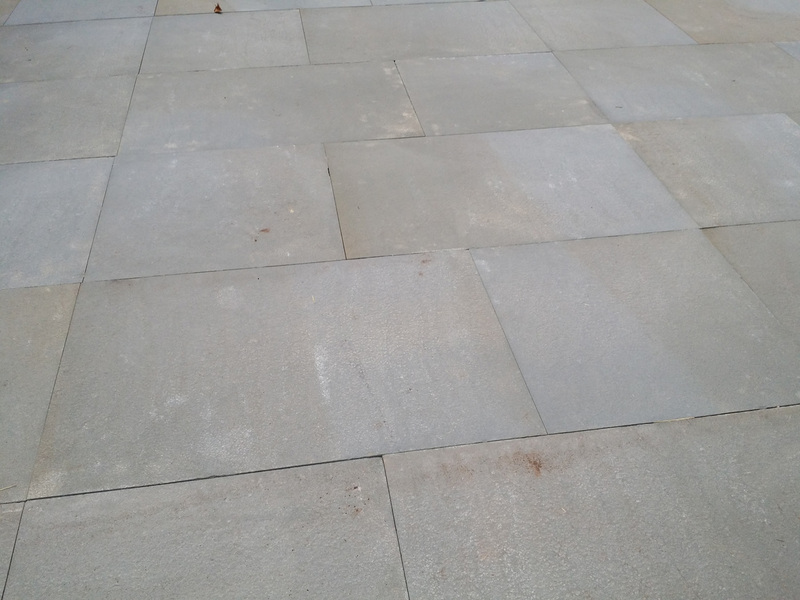 Combined with its traditional blue color, this thermal bluestone works well within both modern and traditional settings. 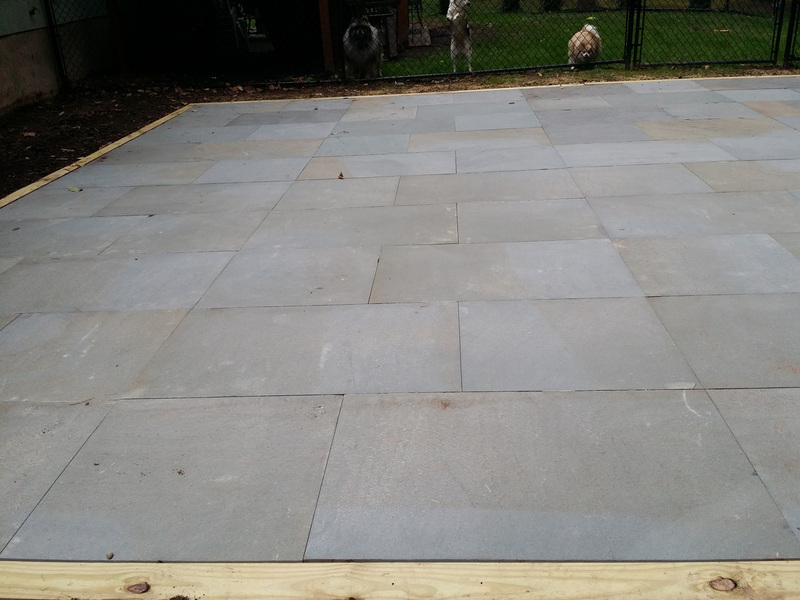 These thermal 2’ by 2’ and 2’ by 3’ Bluestone Pavers were laid out in a running bond pattern. 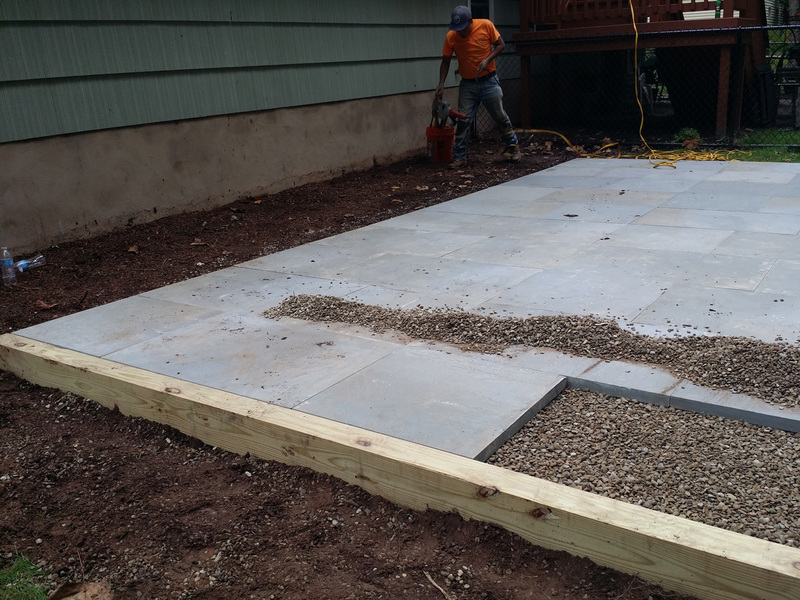 In a running bond, pavers are butted end to end with joints that fall in the middle of the brick on the next and all adjoining rows. One of the easiest of patterns to lay, it also requires minimal cutting at each end and will easily follow a gentle curve or arc. 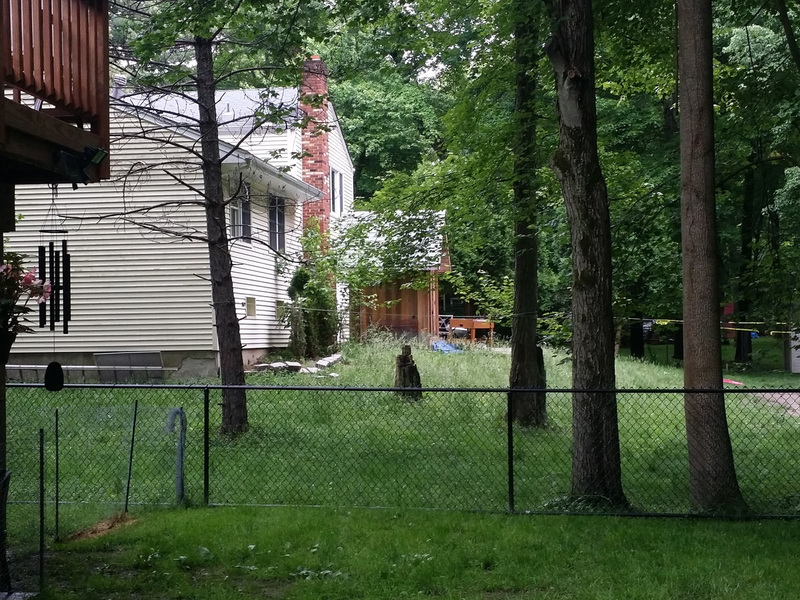 Along the property line where the chain link fence is we planted Green Giant Arborvitae approximately 4 ft tall. These plants, which can grow 2 feet in a year will provide year round color, texture as well as a privacy screening from the neighbors. 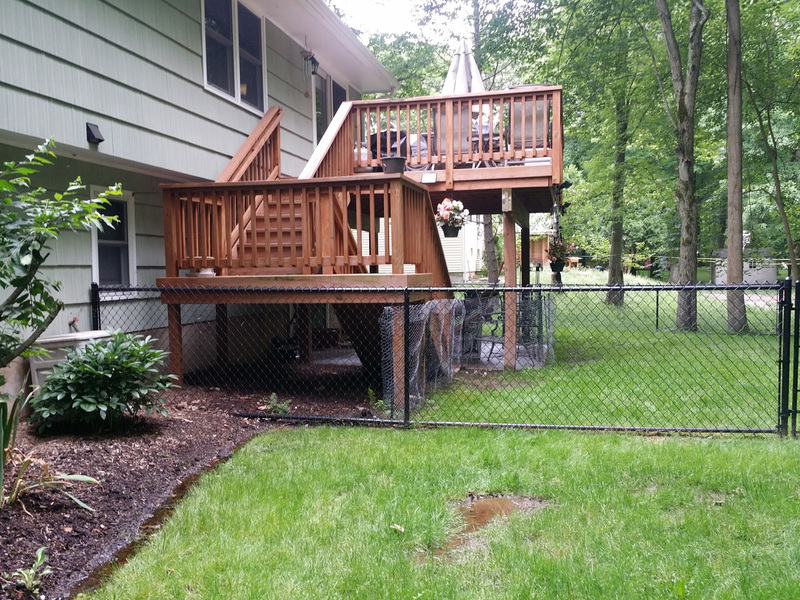 The image below show the design and build of this patio installation. 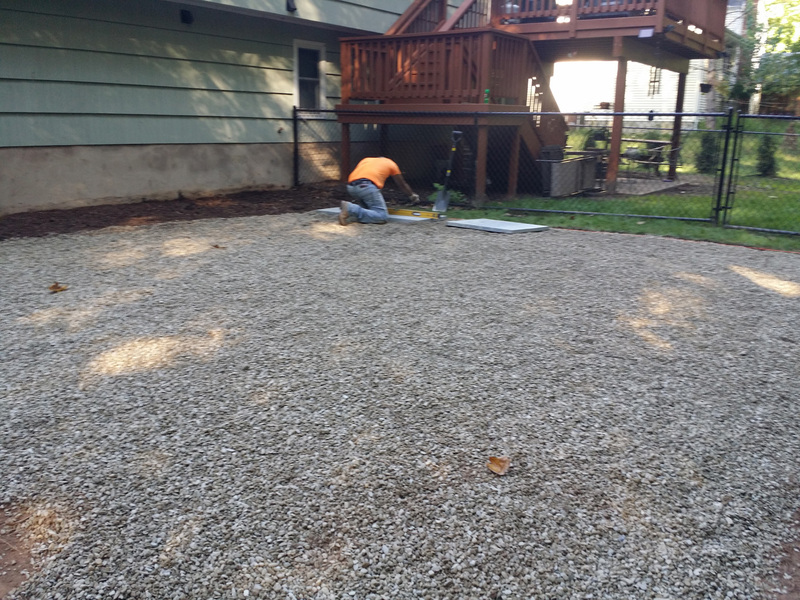 After marking off the outside perimeter of the patio area and allowing for the treated 6 x 6 inch timbers for stability and retention, the top grade was removed and the sub soil compacted and then filled with a crushed stone base that also was heavily compacted to minimize movement during the different months and conditions. 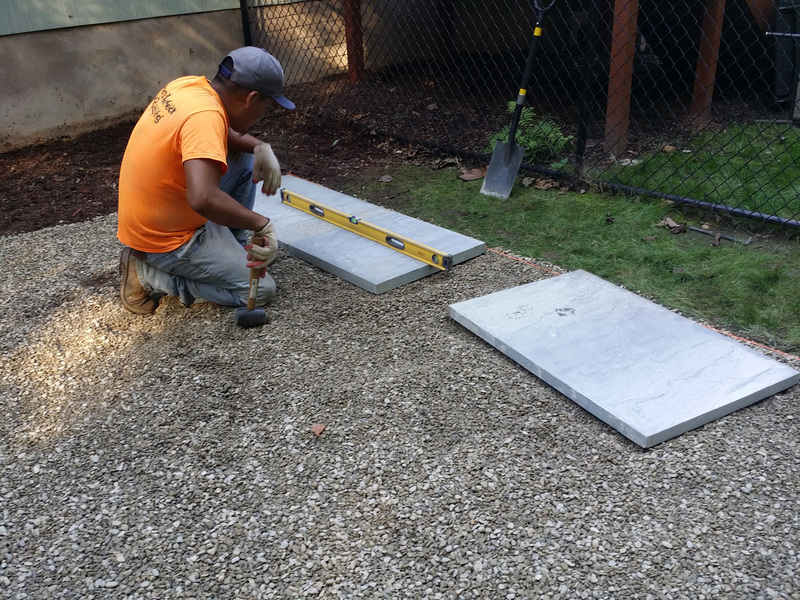 The pavers were then laid in the running bond pattern with sand fill between them.